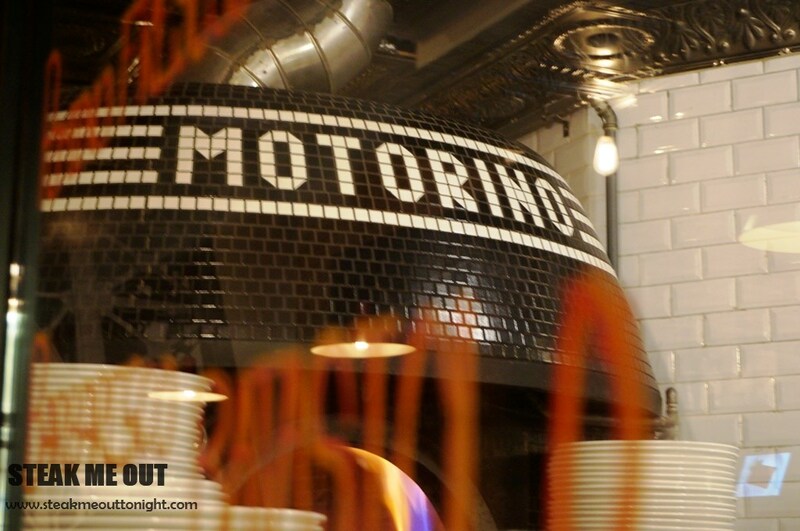 Motorino pizza is one of New Yorks most popular pizza restaurants. I heard they had opened up a branch recently in Hong Kong, and I knew in my time there I had to go. After a hefty meal at American Restaurant I made my way there. I had a craving for a heavily tomato based pizza but needed to try their famed meatball pizza as well. To my luck they were kind enough to half and half my pizza – I went for a marinara and half meatballs. 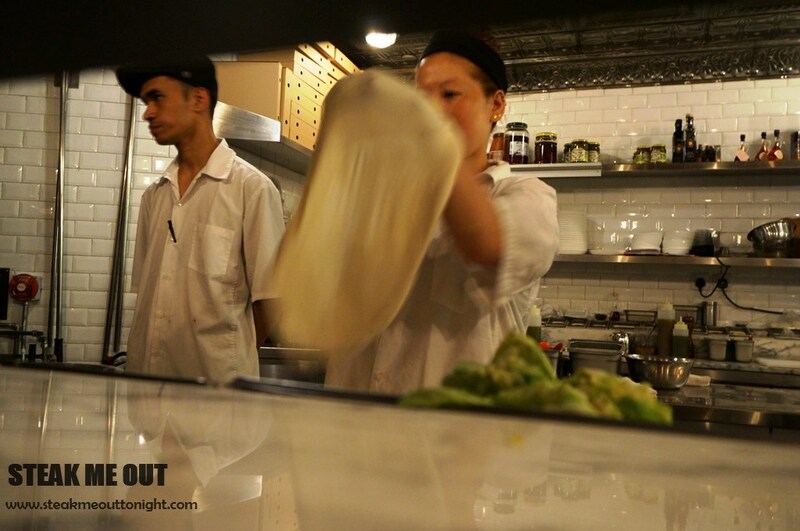 They sat me right next to the kitchen and while I waited I watched the chefs at work, creating magical pizzas. 15 minutes later my pizza was in front of me and it looked stupendous. The base was nice and thin, but still firm and crunchy- not flopping all over the place. The marinara was exactly what I wanted, quality tomato sugo, garlic, oil and light a light sprinkling of parmesan, while the meatballs had more cheese and a much bolder, richer flavour. All in all it was delicious, with the chilli flakes on the table adding a nice kick to the palate (though I suggest you use it scarcely as it packs a bit of a punch). 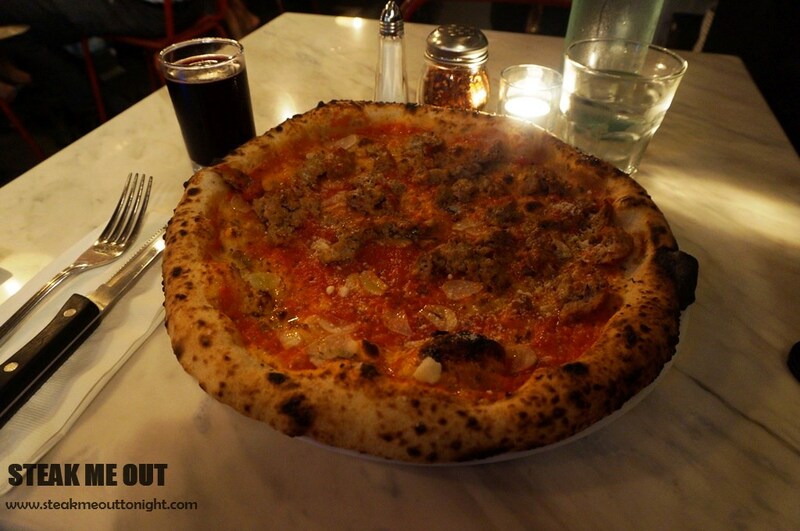 Posted on August 30, 2014 December 30, 2014 by AdrielPosted in Hong Kong, WesternizedTagged Amazing, Hong Kong, Italian, Pizza.